Once you've designed your contest it's time to choose where you want it to appear. 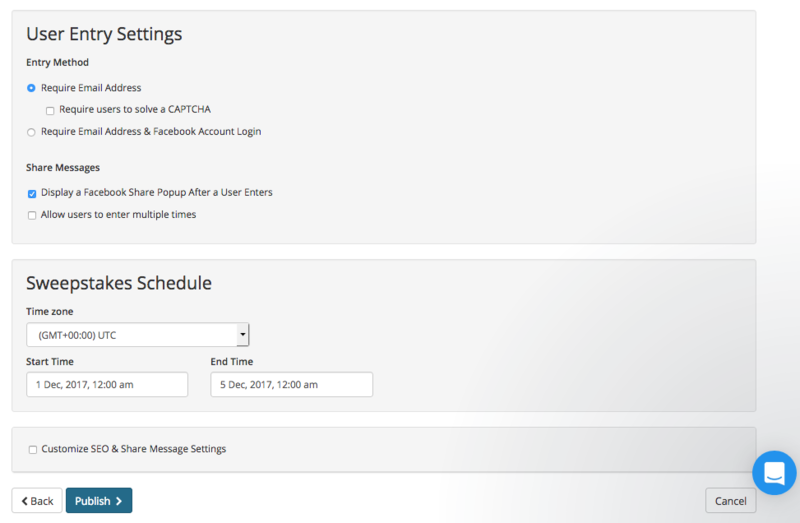 In the contest's advanced settings you will be able to select from 6 different publishing options. To get to your advanced settings edit your contest page, and click next at the bottom right of your contest page. You will be taken to the settings which will look like this. This goes over how each option works in the editor. Choose 'My Facebook Page' and click 'Refresh' next to the page options. To add your contest to your webpage add the website URL you are embedding the page to. Make sure to add the specific website with the path that it will be. 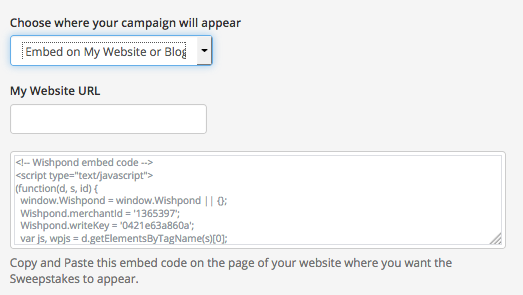 Then copy and paste the embed code on this page of your website. Lastly you can choose to have your contest on both your Facebook page and Webpage. 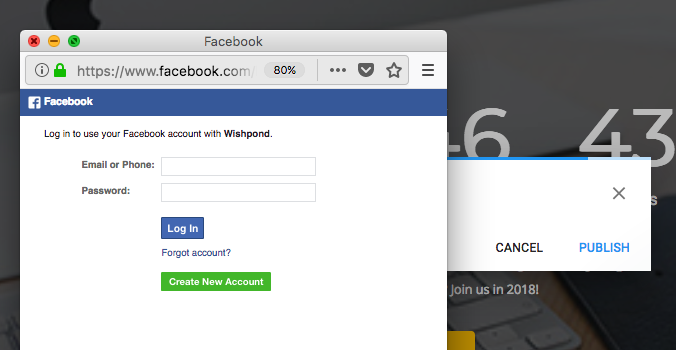 Follow the above steps to connect to your Facebook page, then copy and paste the embed code on the page you'd like it to appear. Once you finish setting the contest options, scroll to the bottom of the page and click 'Publish. Once the start time begins the campaign will be live and you can view the campaign by following the campaign link. 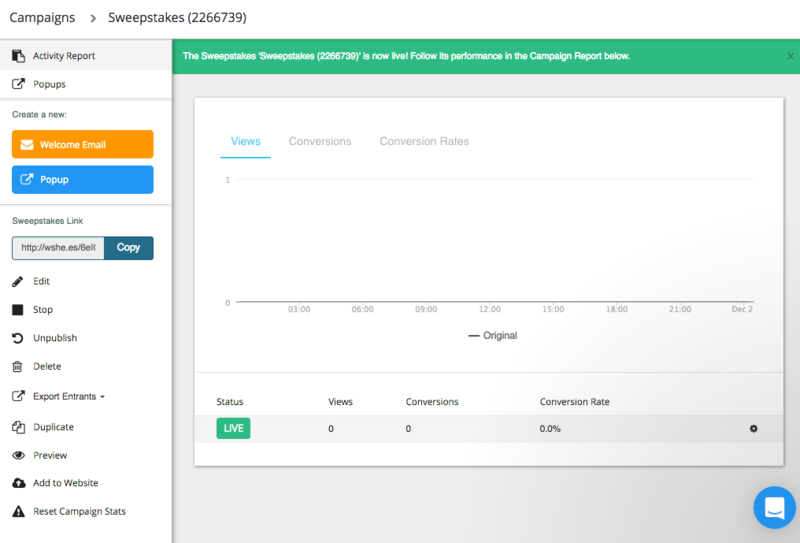 Once it's live start promoting your campaign to start gaining leads.